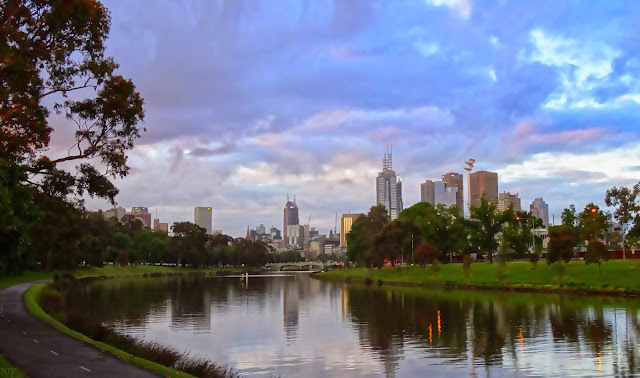 Looking towards the City of Melbourne along the Yarra River from the Southeast. What a wonderful photo - this looks delightful! Everything about this is lovely - composition, color, subject. Nice!